Almost 40 million people live in sunny California, and close to 4 million Californians reside in the “City of Angels,” or Los Angeles (LA). Over a quarter of the entire state’s population lives in Los Angeles County, which includes its namesake city, as well as 87 other cities, such as Long Beach, Pasadena, Glendale, Riverside, Santa Monica, West Hollywood, Redondo Beach, Beverly Hills, Compton, Malibu, Pomona, and Burbank. Bordering the Pacific Ocean with 70 miles of coastline and several islands, Los Angeles County is extremely diverse, both in its residents and landscape. In addition to waterfront and urban areas, LA County also contains rural areas, parts of the Mojave Desert, and part of the San Gabriel Mountains. Drugs and alcohol are commonly used and abused within LA and LA County, and there are numerous community outreach and treatment options within the area catering to substance abuse and dependency as well as mental health services. Drug abuse in an area is typically measured in a few ways. One is by measuring the primary drug involved in treatment admissions to substance abuse treatment programs, and another is by surveying local populations about current (past-month) and lifetime drug use patterns. The number of emergency department (ED) visits involving drugs is also measured, as are calls to poison control centers, and toxicology tests are performed on deceased individuals. Around 7 percent of Los Angeles County residents are believed to struggle with alcohol dependence or abuse while 3 percent battle drug addiction or abuse issues. Approximately 21 percent of Los Angeles County residents binge drank (drank more than five drinks in two hours) on average in the past 30 days (based on 2010-2012 numbers for those over age 12), while 8 percent abused marijuana and another 3 percent used a drug other than marijuana. Heroin abuse is a rising issue across the nation, as users may be switching from prescription opioids to the illegal opioid. The demographic of individuals abusing heroin has also seen a shift in recent years. The 18-25 age group has seen a more than 10 percent spike in the number of treatment admissions for heroin use, from 9 percent in 2008 up to 20.5 percent for the first half of 2013 in LA County. Treatment admissions for heroin dependency or abuse were overwhelmingly male (72 percent), and more than half were non-Hispanic whites. Most had a high school diploma or its equivalent as well, although 19 percent of heroin treatment admissions between January and June of 2013 were homeless. Most abusers of heroin inject the drug (78.9 percent). Heroin may be crossing the Southwest Border from Mexico and making its way onto the streets of LA. Methamphetamine has been a rising tide in Los Angeles and across California as a whole. Illicit laboratories produce the drug from over-the-counter cold medications and stimulants, such as pseudoephedrine and ephedrine. These products have become harder to get due to the Combat Methamphetamine Act (CMEA) of 2005, which regulated the sale of these products, making it harder to buy them in bulk and impacting super labs’ ability to produce meth. Local laboratories may have been affected by the CMEA and law enforcement actions; however, Mexican drug cartels and drug trafficking organizations (DTOs) were more than happy to pick up the slack. Meth remains the number one drug seized and analyzed by NFLIS in Los Angeles County. One out of every three drugs analyzed in the first six months of 2013 in LA County contained meth. Meth is most commonly smoked (77.2 percent of primary meth treatment admissions smoke the drug), and it is the only drug where almost half of the treatment admissions are female. Most people who were admitted to treatment for meth abuse in 2013 were Hispanic, half had a high school diploma or GED, and a quarter of admissions were homeless. Meth was the number one illicit drug named in poison control cases in 2012. Meth seems to be easily accessible in Los Angeles and the number one drug involved in violent, drug, and property crimes in the region. Marijuana is also locally cultivated and produced, in part due to illicit growers being able to live in the shadows of legal medicinal marijuana grow productions. That being said, Mexican DTOs are likely moving marijuana into the area as well. The seizure of indoor and outdoor marijuana plants from illegal growing operations in 2010 increased 72 percent in the Los Angeles High Intensity Drug Trafficking Area (HIDTA) from the previous year. This is the one drug where users are commonly underage, and more than half of all treatment admissions for marijuana abuse or dependence are minors (under age 18) and less than 5 percent are gainfully employed within Los Angeles County. LA and its surrounding areas may also be primary regions for cocaine smuggling into the US via car, truck, boat, or plane at the seaport, airport, or on the highways. Mexican DTOs may move cocaine into the area and then disburse it into the rest of the country and even up north into Canada. Cocaine abuse in LA does seem to be declining in recent years, however. There are many different forms of substance abuse and dependency treatment, and they are usually considered either private or public. Private programs may accept insurance plans, be more comprehensive, and cater to specific individual needs more readily, while public programs may be run by the state or local county with government funding and grants. Public substance abuse treatment programs in Los Angeles County fall into the following categories: prevention, treatment services, and recovery services. Prevention programs are generally community-based. They offer education and resources on the dangers of substance abuse. Many of these focus on youth substance abuse education and prevention. There are 14 public community-based youth programs serving LA County adolescents between ages 12 and 17 (and sometimes up to age 21) in the Substance Abuse and Prevention Control (SAPC)’s Youth System of Services, which includes both residential and outpatient programs. An estimated 60 percent of Los Angeles County public high school students reported drinking alcohol in their lifetime, while almost 40 percent admitted to using marijuana; 11 percent reported lifetime prescription opioid, inhalant, or MDMA abuse; and 7 percent of high school students had abused cocaine at least once by 2013. This is problematic as abusing mind-altering substances prior to the complete formation of the brain may cause irreversible damage and increase the chances for becoming addicted to drugs or alcohol in the future. The Juvenile Justice Crime Prevention Act (JJCPA) is a program designed to help youth who are in the probation system receive substance abuse treatment, with a goal to prevent further involvement with the criminal justice system for participants. Prevention programs are often found in schools and afterschool programs around the area as well. Treatment and recovery services may include detox, counseling, therapy, life skills training, group and individual sessions, education, parenting classes, family services, relapse prevention, nutrition counseling, support groups, community outreach programs, childcare, and more. These programs may be offered in a residential or outpatient setting, depending on what may best suit the individual seeking treatment. Residential programs are generally considered more comprehensive and may provide the highest level of care. Individuals may move between treatment levels as their needs change during recovery. The Substance Abuse and Prevention and Control (SAPC) division of the LA County Department of Public Health has a comprehensive website detailing local substance abuse treatment information. Family Dependency Drug Court Program: This program provides a minimum of 12 months of substance abuse treatment for substance-abusing parents and attempts to reunify families when possible. Los Angeles County Dependency Court and Drug Courts: There are 12 adult drug courts in LA County that work closely with community-based substance abuse treatment providers to help arrestees get proper treatment. Providing Safe and Stable Families – Time-Limited Family Reunification (PSSF-TLFR): Parents who have had children removed due to substance abuse for fewer than 15 months may be able to speed up the reunification process if they enter substance abuse treatment. Sentenced Offender Drug Court (SODC): This program is for nonviolent felony offenders and offers addiction treatment as an alternative to prison time. Co-Occurring Disorders Court (CODC): This program provides criminal defendants who have both a mental health disorder and substance abuse disorder with 18 months of integrated treatment for both disorders. Another public program in Los Angeles County is CalWORKS, which strives to help low-income individuals on public assistance who are battling substance abuse or mental health issues get treatment, and move towards gainful employment and self-sufficiency. Los Angeles has a poverty rate of 17.3 percent, and 4.5 percent of its adults struggle with serious mental illness. In 2010, over 1 million Californians were estimated to live with a serious mental illness. The Los Angeles County Department of Mental Health (LAC DMC) has treatment information on their website as well as a 24/7 helpline individuals can call. The public health system may only be reaching just over 30 percent of California residents who need treatment. Private programs may be more comprehensive and better suited to handle unique and individual circumstances and substance abuse and/or mental health treatment needs. The Substance Abuse and Mental Health Services Administration (SAMHSA) provides an up-to-date list of behavioral health services around the country with the ability to click on a specific area and even enter an address in order to find local services. In 2015 alone, more than 37,000 people flew into the Los Angeles International Airport, according to statistics released on the city’s website. People come to this city to experience the sand, surf, and shopping. It is a city of opportunity and glamor, and for many people, it is an ideal spot for a vacation. Alternatives Addiction Treatment: Most addiction centers believe that strict abstinence is the best plan of action for people in recovery from drug and/or alcohol addictions. This center is different. The founders of this center hope to help people understand how to control their consumption, without cutting it off altogether. The team uses an approach they call the “bio-affective management system” that aims to highlight the connections between substance use and the factors that influence the decision to use. Those who want to abstain completely can enroll in a separate track that is designed to deliver complete abstinence. 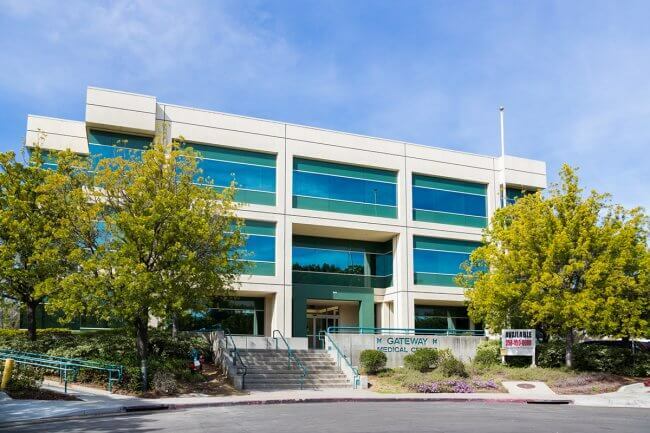 All care is provided on an outpatient basis, and it is considered intensive. People who enroll can expect to spend hours in programming each and every day. Contact the center to find out more about payments and insurance acceptance. Promises Treatment Center: This organization provides a luxury addiction recovery experience in Malibu. 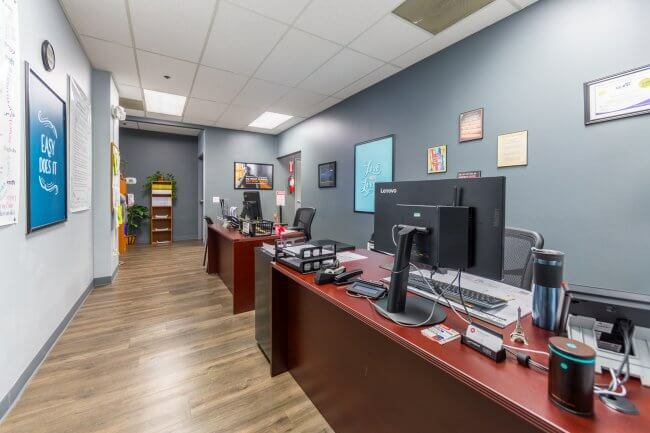 The founders of the organization believe that addictions are best tackled by enrolling people in a facility that is calm, clean, and restful. They ensure that people stay enrolled by loading up the facility with amenities that wouldn’t be out of place in an upscale hotel or four-star resort. There are a variety of different programs that people can choose, including programs made just for women, programs made for adolescents, programs made for professionals, and programs for those in recovery from a traumatic event. The staff-to-client ratio is remarkably low, which helps to ensure one-on-one recovery support. The team combines evidence-based treatment with alternative therapies like yoga and acupuncture, to broaden the base of recovery support. Insurance plan payments are accepted. Authentic Recovery Center: The founders of this organization believe that addictions develop due to trauma caused by mental illnesses. To them, an addiction isn’t a standalone problem. It is a symptom of a deeper mental health problem that must be addressed. As a result, the treatment team at this facility emphasizes mental health screening. The team hopes to address any and all mental illnesses in addition to the addiction. And the team can use a variety of formats to get that work done, including inpatient care, intensive outpatient care, and standard outpatient care. 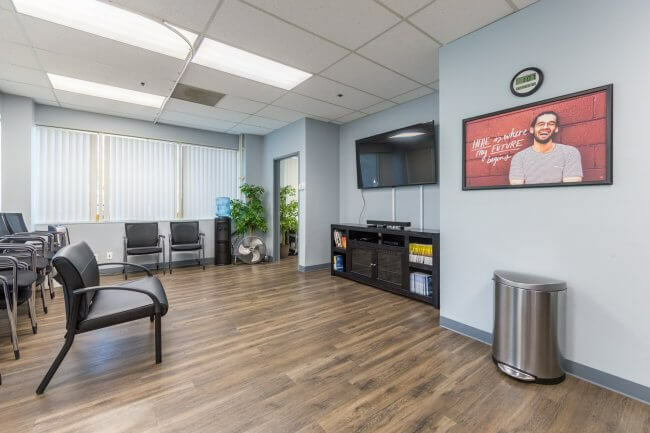 Everyone who enrolls is provided with intensive continuing care, which involves connecting people in recovery with community professionals who can continue to boost the sobriety journey. Insurance plan payments are accepted. County of Los Angeles Public Health: There are many private treatment facilities in Los Angeles, but not all the people who live in Los Angeles can afford care in these high-end locations. This public health organization can help. The group can connect people with low-cost treatment options that can assist with an addiction issue. One such network provider, Antelope Valley Rehabilitation Centers, never turns people away based on an inability to pay. There are many more providers just like this in the public health network. People who connect with this organization should expect to provide proof of residency, and they should expect to provide verification of income too. There are a variety of different treatment programs available, including inpatient care and outpatient care. 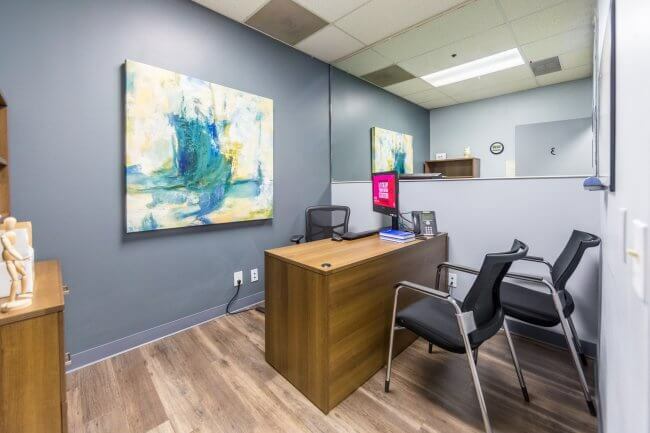 HIT Los Angeles: This organization believes that addictions are best dealt with in the “real world.” That means this team does not offer the protective cocoon of inpatient care. Instead, the group offers a variety of addiction treatment help in a variety of different locations, including private homes, coffee shops, parks, and neighborhood hot spots. The team can offer intensive counseling, recovery coaching, and education. And the team can link clients with community programs that can help them to get jobs, find secure housing, and mend broken relationships. Insurance plan payments are accepted. Haven House: Full-service treatment for addiction is provided through this treatment center in California. People can stay with this program through the entire recovery journey, beginning with medical detox and ending with sober living homes. They can attend residential treatment, or they can participate in intensive outpatient addiction care. There are extended programs for those who need more time in contact with a medical team. 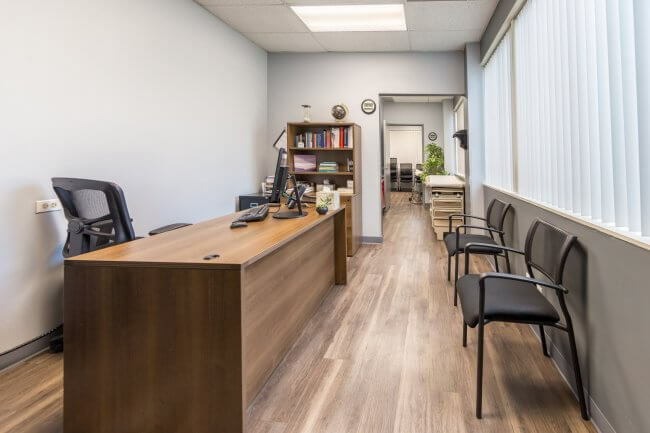 The clinical team uses evidence-based therapies, and there are treatments available for people who have mental illnesses in addition to addiction. Insurance plan payments are accepted. Clearview Treatment Programs: Borderline personality disorder often occurs in concert with addiction. 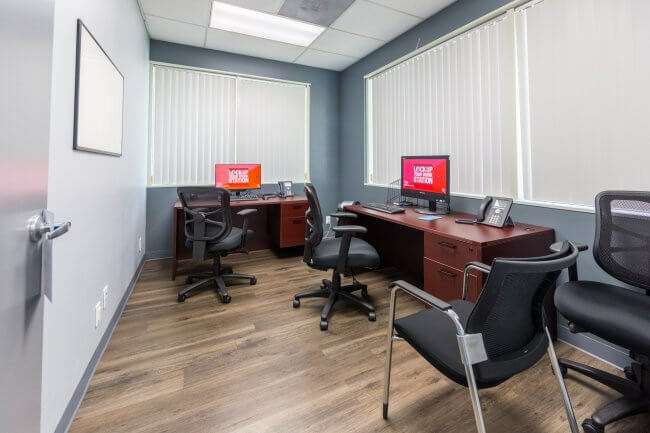 This Los Angeles treatment facility specializes in helping people who have borderline personality disorder and addiction. The team uses a very targeted form of therapy, Dialectical Behavior Therapy, that was originally designed to help people with this mental illness. This therapy is incorporated into every treatment program the organization offers, and it offers many. There are residential programs for women, residential programs for both women and men, outpatient programs, and day programs. Insurance program payments are accepted. A New Start: This organization offers a three-pronged approach to recovery. People who enroll are provided with therapy, neural recovery programming, and 12-Step involvement. That means they have the help of talented professionals in individual and group settings, and they have the power of peers who can help them understand how addiction works and how it can be combatted. Services are available on an outpatient basis, but there are sober homes available for those who need added supervision as they recover. Insurance plan payments are accepted. To find out more, call (800) 426-1818. Matrix Institute on Addictions: In 1984, this organization was founded and began seeing clients. Since that time, thousands of people have come here for care. The organization is proud of the work it has done for the community and for the vulnerable people it serves each and every day. The treatment is provided on an outpatient basis, and it consists of group work. People spend time in therapist-run meetings about all sorts of aspects of the addiction recovery journey, and they learn more about the skills they will need to recover fully. The “Matrix Model,” as it is known, is a respected way to combat an addiction, including an addiction complicated by mental illness. Medication management is also available for people in need. Insurance plan payments are accepted. The Hills Treatment Center: A unique experience in recovery is what this treatment program aims to provide to its patients. The treatment team has developed an intensive addiction recovery program that begins with medical detox, supervised by professionals. When that process is complete, people can choose from residential programs or outpatient programs, and there are mental health specialists available who can help families to make the right choice for care. The group also offers sober living homes, for those who complete care but do not have a safe space in which to experience recovery. Care is provided by people who have their own experience of recovery. Insurance plan payments are accepted. Cri-Help: Care for addictions delivered with compassion is the goal of this treatment organization. 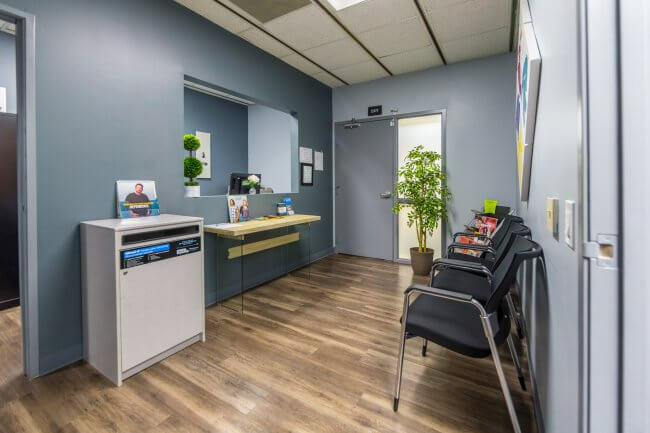 Since it was founded, it has served 35,000 people with addictions, and it claims that 87 percent of those clients remained clean in immediate follow-up appointments. The team gets those results with a personalized approach to care. People who enroll can get inpatient care, outpatient care, or care in a sober living home. Insurance plan payments are accepted, and there are financing options available. La Fuente Hollywood Treatment Center: This is an inpatient drug rehab center, located right in the heart of Los Angeles. The team offers a stair-step approach to addiction recovery, ensuring that there is a program that provides the right level of care for almost every person who needs addiction assistance. There are short, 30-day programs for those who just need a recovery brushup, and there are long-term sober living options for those who need an extended time in contact with a recovery team. Professional counseling, nutritional guidance, exercise opportunities, and spiritual counseling are all part of a typical treatment program. Insurance plan payments are accepted. The Discovery House: Long-term care for an addiction issue is available at this recovery center, located just outside of Los Angeles. A great deal of effort has gone into the décor of the treatment facility. People who enroll live in cottages that have luxury amenities and gorgeous views. The team provides personal care that involves individual therapy, group therapy, music therapy, yoga, mindfulness, and more. The team can provide additional help with mental illnesses, including depression and post-traumatic stress disorder. The program emphasizes a 12-Step approach, so people who enroll are expected to spend time each week in meetings. Insurance plan payments are accepted. BLVD Treatment Centers: Outpatient care for addiction is available through this treatment provider. People who enroll can participate in a medical detox program, and when that is complete, they will enroll in a program that has flexible hours that could fit into almost any schedule. There are daytime classes for those who work nights, and there are nighttime classes for those who work during the day. The treatment team offers both 12-Step and non-12-Step programming, and therapy is provided by licensed counselors with years of experience in helping people in need. The facility is luxurious, but prices are kept low. Insurance plan payments are accepted, and there are scholarship programs for those in financial distress. BAART: Medication management for substance abuse is a major focus of this treatment provider. The team can assess a person’s addiction and determine a proper dose of replacement medications that can help. People can get those medications in a series of appointments in clean, safe treatment facilities. The team can also provide addiction counseling, so people can learn how to build healthy and sober habits that last a lifetime. There are four locations in Los Angeles to choose from. Visit the website for the phone numbers that correspond to each clinic. The Canyon: This treatment provider is known for providing a luxury treatment environment deep in Malibu. In addition, the organization has an outpatient clinic in Los Angles, and it could be just right for people with addictions. 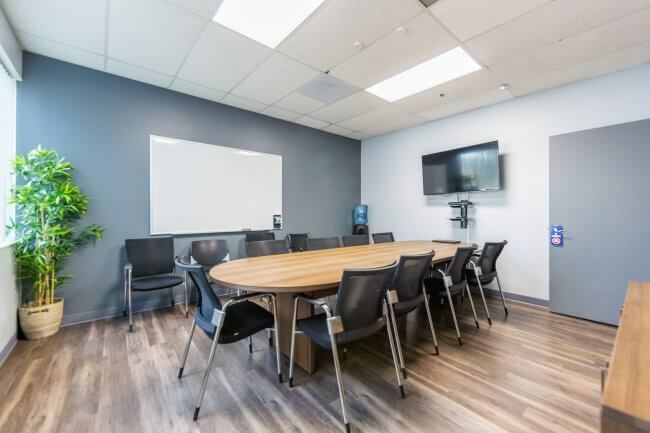 The treatment team in this location can provide individually tailored treatment for addiction that includes counseling, life skills classes, 12-Step support, and holistic services. The care is appropriate for people new to recovery, and it could also be ideal for people who have recently completed a residential treatment program. Insurance plan payments are accepted. Phoenix House: This large organization operates more than 130 addiction treatment centers across 10 states. There is one outpost in Los Angeles that could be ideal for people in need. The facility can offer residential care for addictions, allowing people to move away from destructive communities and into the embrace of sobriety. The team can also offer outpatient support, for those who prefer to live at home while they recover. The team uses time-tested treatment approaches that can help addictions that have been resistant to other forms of care. The group also offers wraparound support that could be ideal, including dental care, family services, GED coaching, yoga, housing help, and animal therapy. Insurance plan payments are accepted. Evolve Treatment Centers: To evolve means to change, and for people with addictions, change is vital. This organization can help, as it provides addiction care for adolescents living with addictions, mental illnesses, or both. 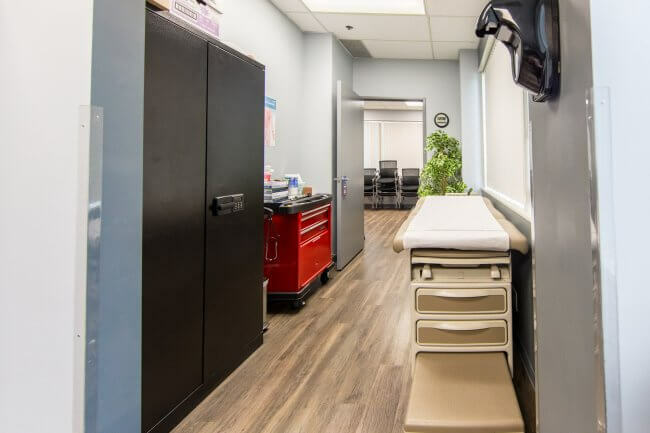 There are a variety of different treatment programs available, including residential treatment, hospitalization, outpatient care, and onsite care. The team can also offer extended support to people who have completed the program and need a little more help in order to stay sober. Insurance plan payments are accepted. LIVE: This treatment program aims to touch almost every part of life that could be under attack from an addiction. 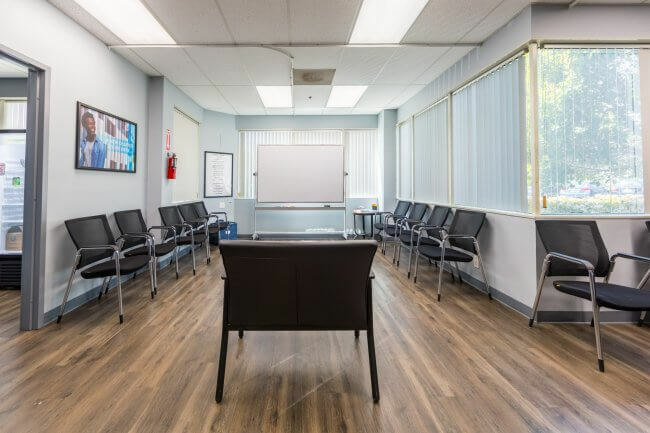 Those who wish for a conventional approach can tap into this program for inpatient addiction care, but there are also coaching programs for those who want to work one-on-one with a professional in a concierge relationship. The people who run this program are educated, board-certified, and licensed. They come from a variety of different backgrounds, but they are all devoted to helping people recover. This is just a sampling of the treatment programs available in the Los Angeles area. There are many more. Those who are looking for care should feel gratified that they have so many options, and they should act on those options today. Most treatment providers have staff on hand to answer questions about payments and availability, and they can even verify insurance benefits over the phone in some cases. A call could be the first step to a whole new way of life, and there’s no charge to call and find out more. If you’re living with an addiction right now, find the time to call. It could be the best thing you’ve ever done for your health and your future. (Sept. 2015). “Los Angeles (city) Community Facts from the U.S. Census Bureau.” U.S. Census Bureau. Accessed September 29, 2015. Brecht, M. Ph.D. (June 2014). “Patterns and Trends in Drug Abuse in Los Angeles County, California: 2013.” Community Epidemiology Work Group. Accessed September 29, 2015. (Aug. 2015). “National Drug Early Warning System (NDEWS) Sentinel Community Site Profile 2015: Los Angeles County.” NDEWS Coordinating Center. Accessed September 29, 2015. (2012). “Los Angeles County Coroner 2012 Annual Report.” County of Los Angeles. Accessed September 29, 2015. (2015). “Behavioral Health Barometer, California 2014.” Substance Abuse and Mental Health Services Administration (SAMHSA). Accessed September 28, 2015. (n.d.). “CMEA (Combat Methamphetamine Epidemic Act of 2005).” U.S. Department of Justice (DOJ) Drug Enforcement Administration (DEA) Office of Diversion Control. Accessed September 29, 2015. (Feb. 2014). “Drug Abuse Patterns and Trends in Los Angeles County- Update: January 2014.” National Institute on Drug Abuse (NIDA). Accessed September 28, 2015. (Sept. 2011). “Los Angeles High Intensity Drug Trafficking Area (HIDTA). Drug Market Analysis 2011.” U.S. Department of Justice (DOJ) National Drug Intelligence Center (NDIC). Accessed September 29, 2015. (n.d.) “Substance Abuse Prevention and Control.” County of Los Angeles Public Health. Accessed September 29, 2015. (July 2013). “Mapping the Gaps. Mental Health in California.” California Health Care Foundation (CHCF). Accessed September 29, 2015. (n.d.). “State Statistics: California.” NAMI State Advocacy 2010. Accessed September 29, 2015. (n.d.). “LAC DMC.” Los Angeles County Department of Mental Health (LAC DMC). Accessed September 29, 2015. (n.d.). “Behavioral Health Treatment Locator.” Substance Abuse and Mental Health Services Administration (SAMHSA). Accessed September 29, 2015.